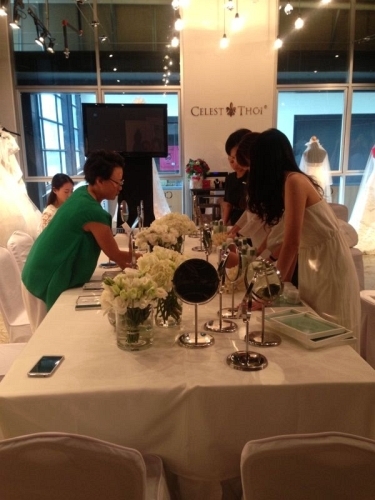 A Discovery Session with La Mer, I Do Weddings and Celest Thoi! 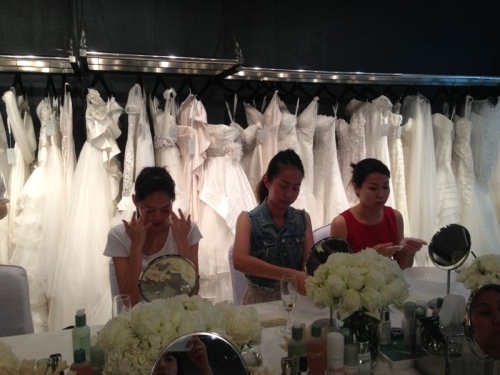 Its not every Sunday that one gets to see a gaggle of ladies happily sitting together around a table, chatting away while applying makeup AND surrounded by wedding dresses, shoes and a whole lot of other bridal accessories. 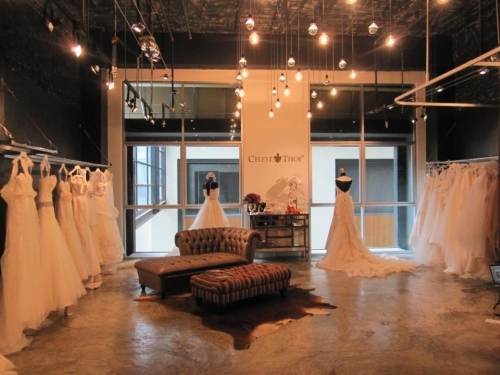 Well, I had just the very chance to do the abovementioned, when Celest Thoi, I Do Weddings and La Mer got together to host a ‘discovery session’ for our clients, and the venue for the event was my very own shop in Publika! …to an intimate classroom session (complete with tables, chairs, and an amazingly trendy ‘cikgu’). 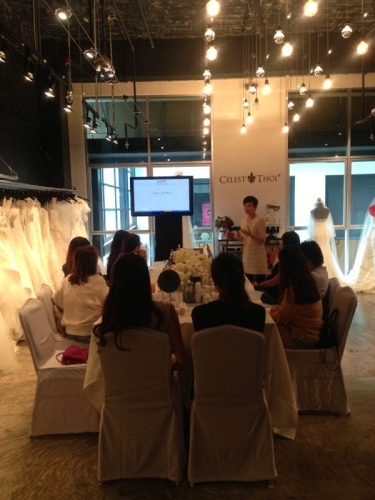 In a collaborative effort to provide a little treat to our clients, I Do Weddings and Celest Thoi gathered together a group of brides-to-be, and gave them a personalized skincare session complete with all the bells and whistles! 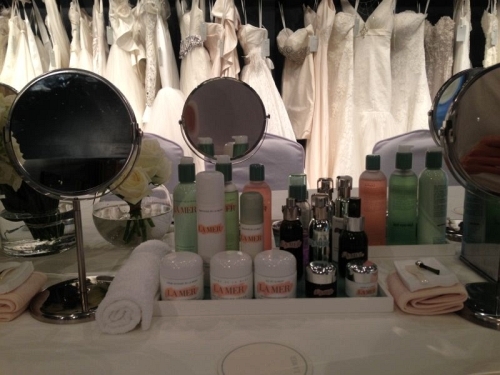 Leading skincare specialist La Mer was at hand to walk the ladies through the essentials of keeping a bride’s skin healthy-an extremely important thing to do during the stressful period before the big day. 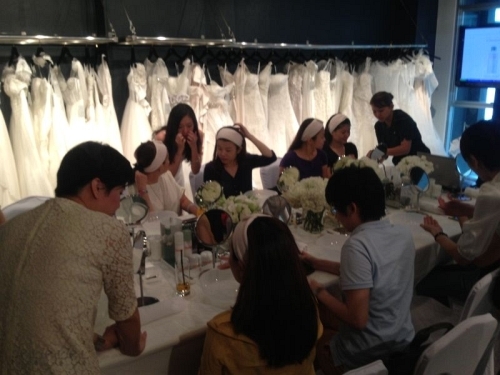 Aptly called a ‘Discovery Session’, the ladies were carefully guided by the experts to discover just the right formula to perfect skin, an asset that becomes increasingly harder to maintain as the bride becomes increasingly pressured when the wedding day creeps closer and closer. 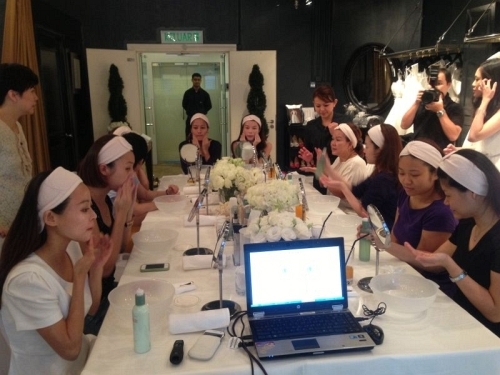 Through hands-on tutorials, the participants sampled the wide range of products La Mer had to offer, with consultants just beside each pair to offer advice and guidance on their proper usage. 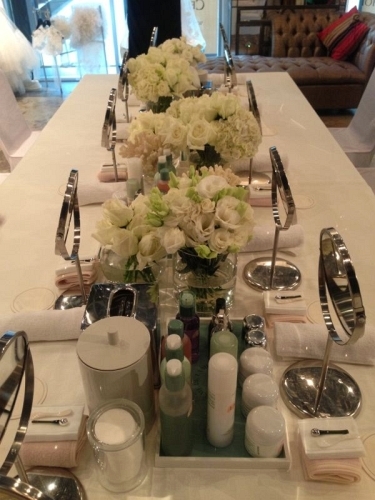 Imagine a dinner table, where instead of food, they served skincare products and towelettes. The ladies getting into gear. I suppose its not an entire normal experience to apply cream and such while a bevy of other ladies are sitting right beside you mimicking your movements, so the session started off rather quietly as each participant concentrated on their own set of products. However, as the day wore on, everyone began to warm up, and soon, it was a lighthearted bunch that laughed and bantered while rubbing La Mer’s moisturizers on their cheeks! An intimate and romantic setting, together with personalized aid from industry experts. Being in a small, cosy environment gave everyone the chance to relax and enjoy the pampering session. Their journey didn’t just end here, as each participant went home with a customized box of products sponsored by the good folk from La Mer! To complete the experience: an arsenal of products to continue the session at home. It was an extremely satisfying experience to see our clients enjoying themselves among other brides-to-be, all facing the same pressures and hardships leading to the wedding day, sharing tales and swapping bits and pieces of advice. Coupled with the idyllic setting, the sight of happy, radiant ladies busily chatting is one that I won’t easily forget. 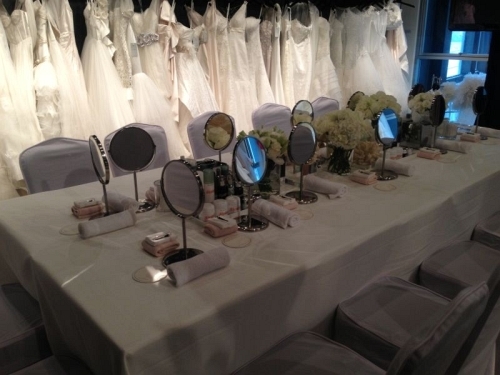 Many thanks to La Mer, and kudos to I Do Weddings for a great collaborative effort! Looking forward to working together again! Finally, our sincere appreciation to the ladies who came to share this time with us. We hope you enjoyed yourselves, and brought some pleasant memories back home with you!